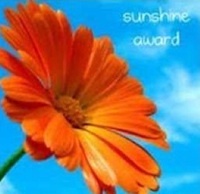 Ron Knight wins the Sunshine Lily Badge for Best Blog, presented by Erin O’ Quinn! Erin: You inspire and motivate both adults and students in reading and writing. Why is that important to you? Knight: I struggled with reading and writing. In fact, I struggled in school. I thought because my grades were low, I could not become an author. I found a way to love reading and writing, then discovered that I could indeed become an author. I want to share that opportunity with others. Erin: How are you different from most authors? Knight: My main focus is the end result of a book; then I work backwards. I study readers of all ages and adjust my writing accordingly. I never write for myself. Erin: You write books for children, tweens, teens, and adults. Which is your favorite? Knight: My target audience has become those that do not like to read. If I can entertain them, I can entertain anyone. Erin: What is one thing you tell students that teachers cringe when you say it? Knight: Lol. Once in awhile I tell students, “If you are thirty pages into a book and do not like it, then stop reading and choose another. Your time is precious.” I really believe that is true, but some books are part of the curriculum, which the students have to read. Erin: How do you connect to your readers? Knight: Every reader has what’s called an “Emotional Gatekeeper” that decides what books to read and which books they would enjoy. The only way to connect to a reader is by understanding their emotions. Erin: What makes a great speaking presentation for students? First: Be upbeat, amusing, and get the students laughing, even if that means making fun of yourself. Second: Control the room and not allow students to have sidebar conversations. Third: Use a visual slide show with cool pictures. Fourth: Teach, but do not let them know you are teaching. Fifth: Talk about fiction books as if the stories are true. Sixth: Keep the students involved with the presentation so they are always doing something. Erin: What was the best compliment you have ever received?